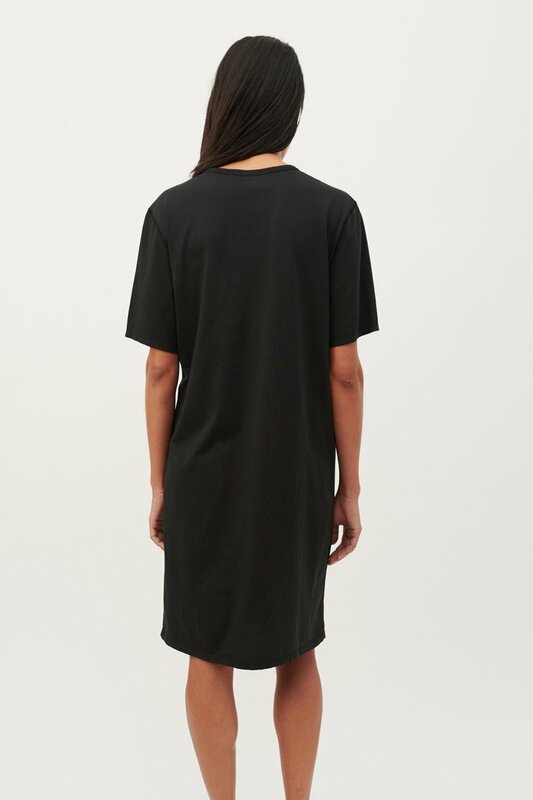 Our Mid T-Shirt Dress in Washed Black Clean Jersey. 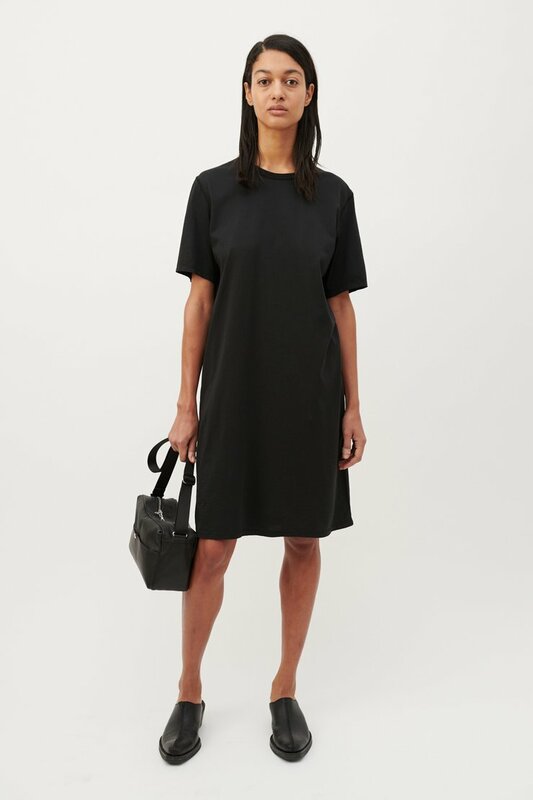 Produced in a Portuguese cotton fabric, this pigment dyed t-shirt dress features short sleeves, a round neck with a fine rib bound collar and overlocked shoulder and side seams. 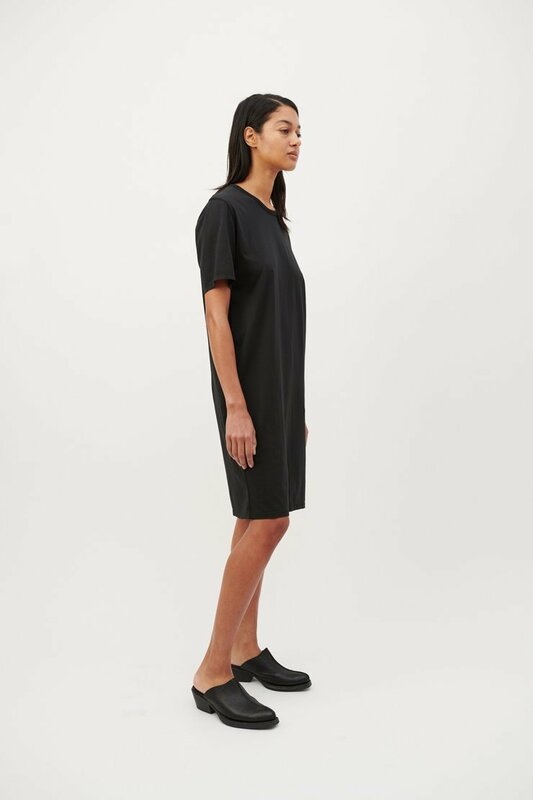 Our Mid T-Shirt Dress fits true to size with a relaxed fit. The model is 175 cm tall and wears a size 36.